The tech industry is changing the way the world operates and it has an upper hand in dictating the future of ours, according to former Australian Chief of Army, Lieutenant General David Morrison. 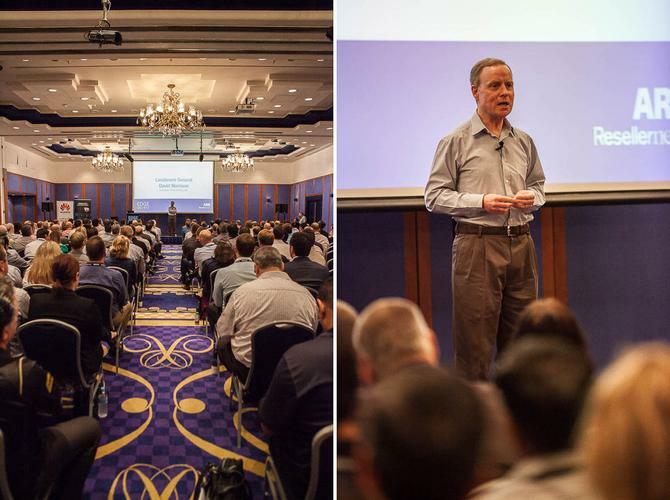 He was speaking at a keynote session at ARN’s inaugural EDGE 2015 event in Port Douglas. “Reputations have longevity and reputations count and time doesn’t dim the fires within. We are living in a rapidly changing world and the product of your industry is changing the nature of the planet and the way species live on it,” he said. General Morrison indicated that human nature and how individuals interact with each other, in addition to how leaders (a general, a CIO, or anyone trying to make an impression) recognise the potential that is on offer, is key to leaving a lasting legacy. “The world is at a tipping point. Our progress has been relatively predictable, and space and cyberspace is pivotal to this development of the world. But, we need to focus on what makes us human even though we live in a digital world. “I agree that we are living in an age of digital disruption and as an early avid adopter of many of these products, I understand how it gives more power to your arms but we’re ignoring everything else that’s behind us,” he said. According to General Morrison, one of the things that needs to change is appointment structures within companies. He claimed businesses must also look at the talent on offer from women, as well as from other communities. “The IT industry, as a whole, has a dynamic of a 90 per cent men and 10 per cent women ratio. Now, that might work for you, but you’re not making use of talent from 51 per cent of Australia – women. “There’s also talent on offer from our Asian, Indian, and Islamic communities. People need to change their view. Culture needs to change because there isn’t a one size fits all approach anymore,” he indicated. General Morrison also said human nature is defined by fear, self-interest, and honour. “I reckon I can find those criteria in a David Morrison as a chief of army, or even a John Walters as the head of NEXTGEN. Fear, self-interest, and honour drive all of us in counter balance. “As leaders, even with all this technological change, we need to go back and take a note of what makes us who we are; to ask ourselves what are the stories we tell ourselves about ourselves and to challenge those with a view to leave a legacy for the future,” he said. ​Forget how to be a great leader - Why are you a leader in the first place?